The classic qualities make this beautiful urn a contemporary and economical choice. 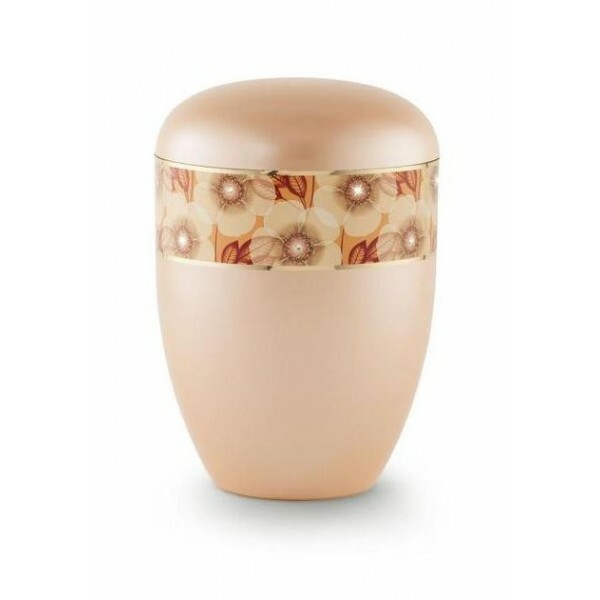 This apricot coloured biodegradable urn is made from Arboform (a sustainable thermoplastic material). It features a floral patterned band around the top. This particular urn will biodegrade in 5-8 years once placed in soil but will remain completely intact until burial. Please note that this product is not a stock item but is available for special order. Suitable to hold the full ashes of an adult. FREE DELIVERY to a UK mainland address.